Maren Freeland’s care for the earth has led her on a life path of inquiry and action towards a sustainable culture. 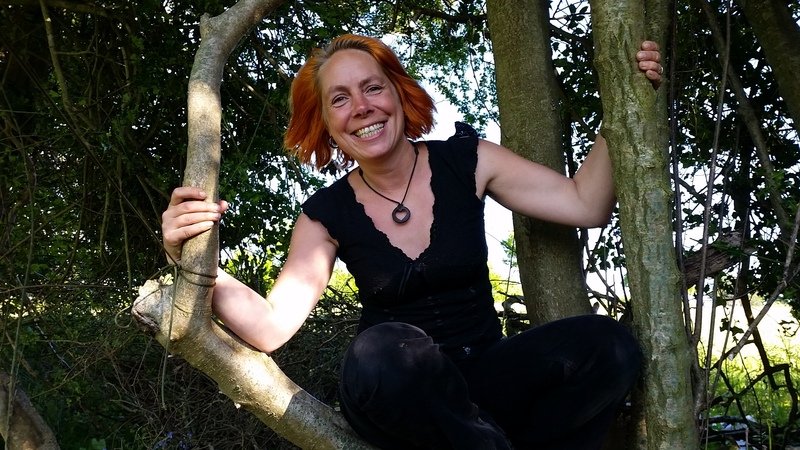 She’s a founder member of Landmatters Permaculture Co-operative (www.landmatters.org.uk) an off-grid community that aims to inspire positive change. Here she has been living a lifestyle close to the elements for the past decade. Maren has completed the Outdoor Leadership course run by Schumacher College(www.schumachercollege.org.uk) and WildWise (http://wildwise.co.uk), and is a trained facilitator for “The Work that Reconnects”( http://workthatreconnects.org/) developed by Joanna Macy. She has studied with Jon Young (8 Shields Institute) and Looby Macnamara (People and Permaculture). Maren has facilitated a nature–based mentoring program for teenage girls and is actively involved in women’s work, following a year long program exploring the cultivation of the authentic empowered feminine. Inspired by the magic that happens when women come together, especially in nature, she has run women's retreats and is now offering a 3 months group mentorship program for women. Maren and her husband are home-educating their two boys, inspired by nature connection methods, such as Jon Young’s “Art of Mentoring”. Based on his work they offer Kamana for kids sessions at Landmatters: "Catkins". Maren deeply cherishes the sense of belonging gained by re-connecting to the wild and each other. She is passionate to be part of restoring a connective culture at this time of crisis on this planet. To this end she has set up the social enterprise Untamed. Untamed seeks to counteract modern society’s widespread “disconnection dis-ease” by offering outdoor experiences that nourish, empower and help the participants feel more alive. They will be connecting to the natural world, each other and themselves by learning natural skills and crafts and by practicing creative and reflective methods in nature. The aim is to awaken a sense of empowerment in participant which enables them to live life to a fuller potential so they can act in service of society as a whole. A world where we realize that the earth is our home and that all creatures are one world family, so we care for this planet and the welfare of all beings. A world where each person feels empowered to live life to their full potential, and to give their unique gift to the world. Social Enterprise – what does that mean? It means that Untamed’s social and environmental mission is at the core of this enterprise. The commitment to positive impact is central to the mission of this business. Whilst Untamed needs to be financially sustainable, pay reasonable wages and cover its own costs long term, it’s not run solely for profit. Untamed is about having social and environmental impact whilst doing trade.